The Kenya National Highways Authority (KENHA) released a statement a few hours after the 4.8 magnitude that hit South West Kenya on Sunday evening. The epicentre of the quake was located at 41 km North West of Wundanyi- Taita Taveta County. Following the earth tremors experienced in several parts of the country, KeNHA advises that a fault has been cited along the Naivasha - Mai Mahiu Road, at Fay Amario, about 8km from Naivasha, Mai Mahiu bound. KeNHA engineers are on site monitoring any resultant damages to the road surface. In the meantime, traffic police have been deployed to the site to direct traffic on a detour of the road section that has been created to facilitate traffic flow. 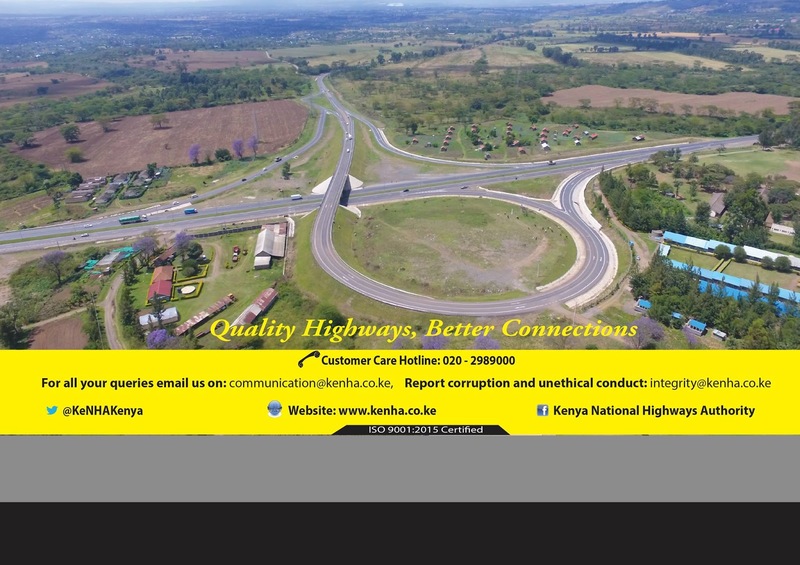 Private vehicle operators are advised to use the main Kamandura - Limuru - Kinungi - Naivasha Highway, while heavy commercial vehicles operators are urged to excercise caution and restraint, and to follow traffic flow directions that are being provided by the Traffic Police Department. Particularly, we advise all motorists to observe lane discipline and avoid overlapping, which can result in traffic flow disruptions. More updates to follow.